Anna Loskiewicz-Zakrewska and Zofia Strumillo-Sukiennik met as industrial design students at the , where both received their master’s degrees in 2005. Seven years later, the friends launched their own studio with an eye to bridging product and interior design. has since racked up projects ranging from avant-garde workplaces to statues for the in Zakopane that exhibit a flair for narrative. One of the firm’s first successes was winning a Ministry of Foreign Affairs–sponsored competition to represent Polish cultural traditions in a modern way. The gift set they created bundled a porcelain mug and futurist-looking spoon with a jar of honey, meant to be stirred into warm milk—a favorite local treat. “We think every object tells a story: where it was produced, what kind of material it’s made of, what kind of tradition it represents,” Loskiewicz-Zakrewska explains. A shared workspace centers on a Beza-designed office system. Photography by Jacek Kolodziejski. For the office of advertising agency , the pair riffed on the client’s name as a design conceit. Elements from decorative stuccowork to wood carvings were executed by hand, as were the many custom furnishings, most fabricated by the project carpenter. 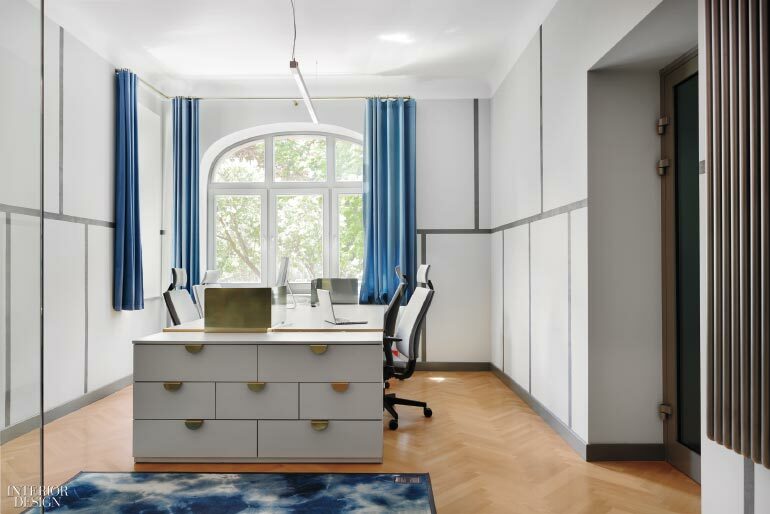 “The use of high-quality old-world craftsmanship in a contemporary office sets up an interesting clash,” Strumillo-Sukiennik says. 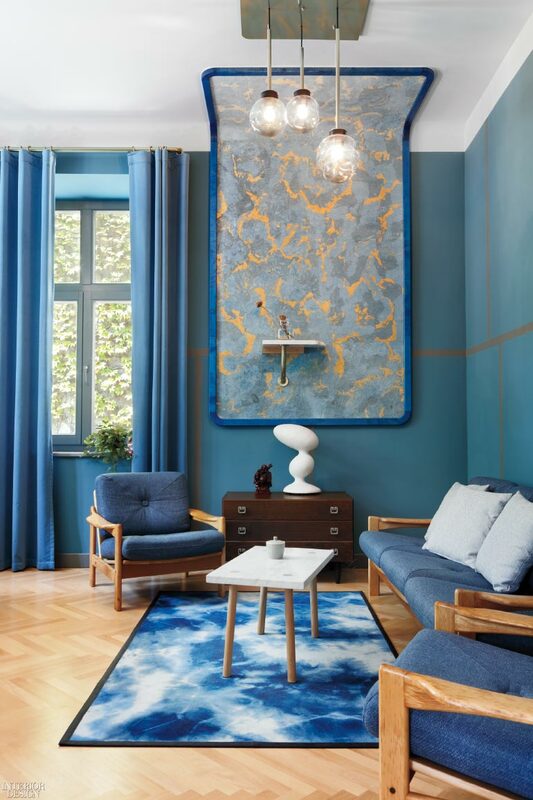 The design also makes bold use of the brand’s signature gold-and-blue palette: the colors appear in plaster walls, custom Shibori rugs, upholstery fabrics, and bespoke lighting fixtures. The story? Patrician meets practical. 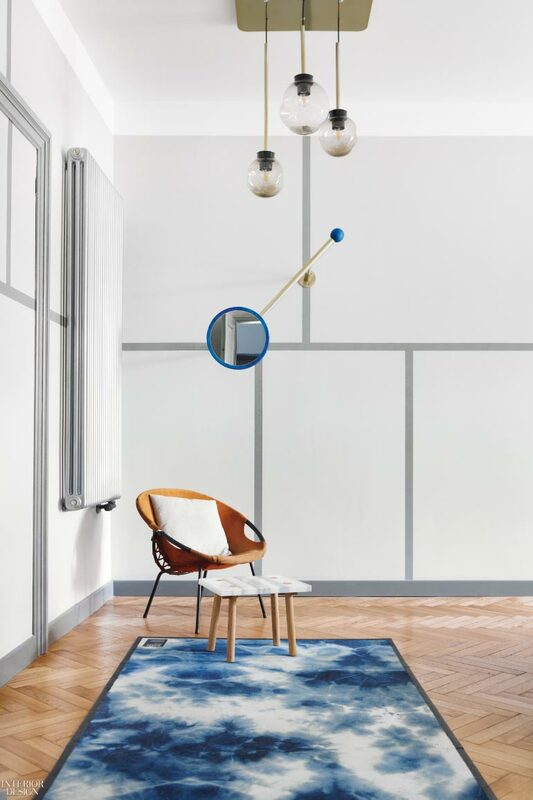 In the chief officer’s private workspace, a vintage chair comingles with a custom carpet, lamp, and mirror conceived by the designers. Photography by Jacek Kolodziejski. Hand-executed stuccowork embellishes the chief officer’s private workspace, outfitted with vintage furniture. Photography by Jacek Kolodziejski. 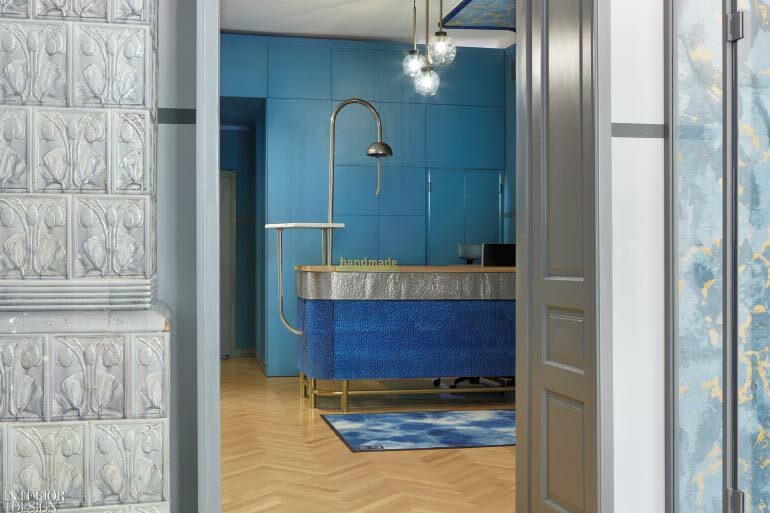 The reception area features a custom area rug and desk with hand-carved birch details. Photography by Jacek Kolodziejski. 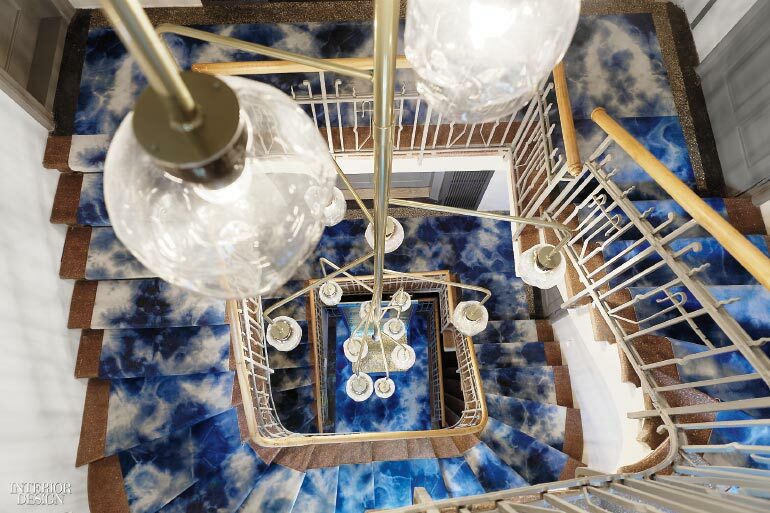 A 20-foot-long custom pendant of blown glass and painted steel illuminates the stairwell. Photography by Jacek Kolodziejski.